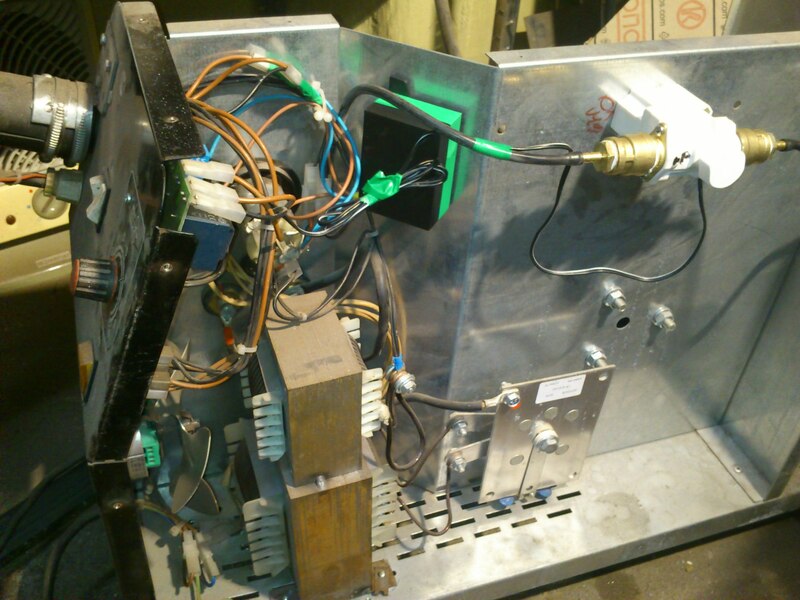 This covers softstart circuit designed especially for upgrade of cheap MIG/MAG transformer welder. Can't use NTC termistor because it works only when it has enough time to cool down before repeated power on. Can't use delayed switching relay circuit for premagnetization circuit because it would not switch fast enough for short welds. It exploits the fact that current in transformer is 90° out of phase of the voltage, which leads to conclusion that best time to switch on the transformer is in voltage peak of mains power line (which was quite counter-intuitive for me at the first time). This circuit detects the peak using 300V bi-directional transil (TVS diode) which is then used to trigger snubberless TRIAC which switches on the power transformer of welder. 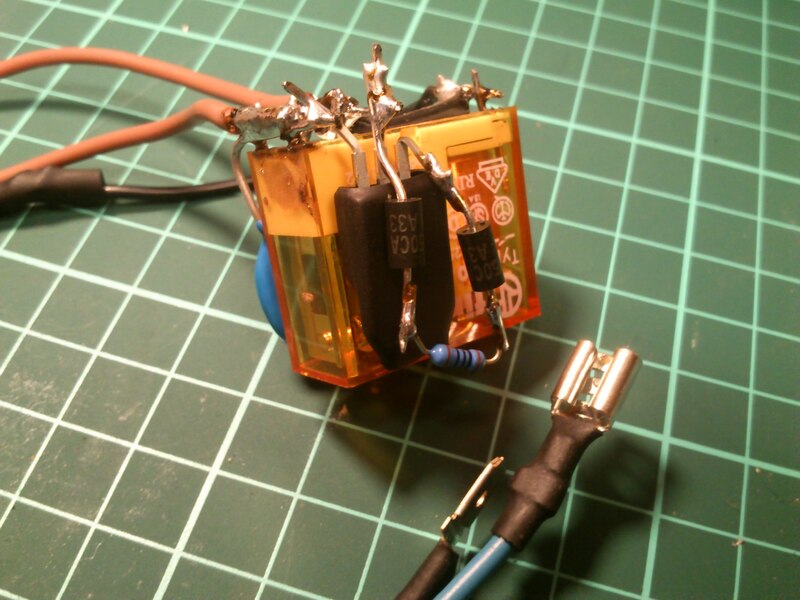 Once this happens, there is normally open relay with AC coil connected in parallel to transformer which shorts out whole active circuit and therefore prevents any excesive heating caused by high currents through semiconductor components (= No heatsinking needed!). To make circuit more robust and endurable there are two more components to prevent possible damage to semiconductor elements. In series with TVS there is resistor to limit current through TVS and to TRIAC's gate. Also there is 390V varistor across the whole switching circuit which prevents voltage spikes from transformer to kill the TRIAC and partially helps to supress arcing in relay contacts. higher value = more precise peak detection, but don't overdo it. otherwise line will not have sufficient peak voltage to trigger the switch. I did not managed to get 300V bi-transil (TVS), so i've used two 150V ones in series. Circuit will probably need complex review before using with 3-phase appliances/welders. However the active version using TRIAC is superior, there is also other possibility which doesn't perform so well, however is little bit easier to build. Problem is that it relies on mechanical delay of relay contacts. I've tried with small 230VAC relay and it did not prevented circuit breakers from being triggered by welder completely. (probably you should use big contactor for better performance).